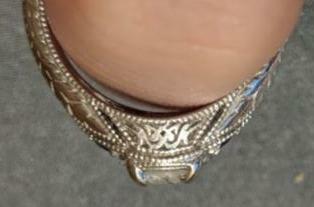 Ladies Diamond engagement ring for sale. Purchased in 2016, was worn just under a year, and has been in storage for the last year. 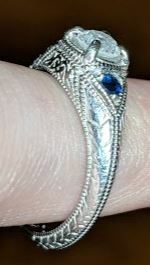 The ring is hand engraved white gold (14k), with blue Sapphires on either side . 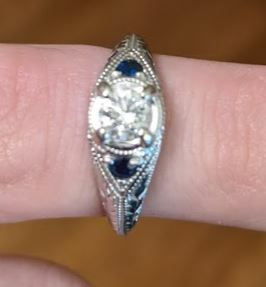 Hope to find a new owner for this beautiful ring!